Great news guys! A new bug fix build has been rolled-out that addresses the excessive CPU issue! If Immunet is still installed the update will be pushed through the UI. For anyone that was experiencing excessive CPU usage with Windows 10 we have some good news! A new 6.3.0.10988 build has been rolled-out that addresses this issue. Hi cyrille, that's not a silly question at all but Wookiee is absolutely correct. If an AV company wants to submit their product for testing, by AV-Comparatives for example, it can be very costly! That's because most testing labs will set up test rigs for every Operating System that the AV product supports. That takes time, money & manpower to implement. That would be cool if Immunet could go up against some of the major player's products just to see how well it compares. Especially if the The ClamAV module is used along with the ETHOS & SPERO cloud detection engines during testing "it wouldn't surprise me one iota that it would out-perform some popular paid products in efficacy!" Hello Parai & welcome to the Immunet forum, any support issue dealing with possible bugs is taken "very seriously" & are usually dealt with in a timely manner is what I recollect from my experience of using Immunet over the years. Feel free to start a new topic in the Support (Issues & Defects) section of the forum if you encounter what you may think is a new bug. In fact, we encourage that input from users just to make the product that much better. Immunet uses a bootstrapper installer that requires an internet connection during the install process so you will get the newest 6.2.4 version, which I would "definitely" recommend you use. Please note: Immunet no longer supports Windows XP or Vista so I hope you're not using one of these older Operating Systems. The problem with most rootkits is that they generally use some sort of advanced encryption method which usually makes 'em hard to detect let alone access & read. So it wouldn't surprise me if HexaPro was unable to submit any SHA256 or MD5 checksum(s) hash tag(s). 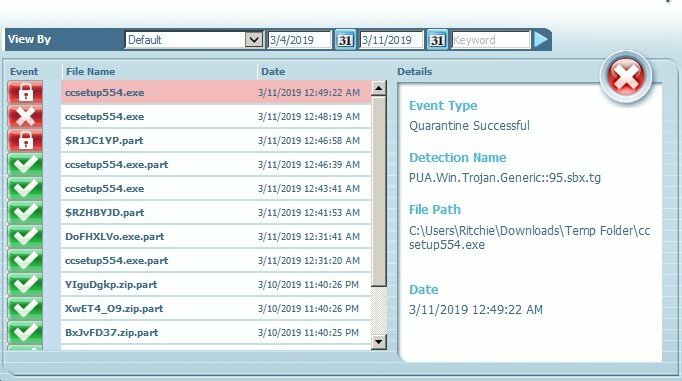 Malwarebytes has a new beta "CMD based on-demand rootkit scanner" available that looks rather promising. They're also looking for beta testers with (preferably) virtual test rigs for anyone that's into that sort of thing. As with any beta software please read the legal Disclaimer documentation carefully before use. With the directories being affected it's very similar behavior to what a rootkit keylogger might exhibit. Hello again Aris. Sorry to hear you're having another issue so soon! In Settings, do you have "Monitor Network Settings" enabled? This setting does monitor your network connections for zero-day vulnerabilities and any possibly malicious hosts. It's up to the user of course but personally I leave this setting disabled as I already had a third-party app that does the same thing before this feature was added.